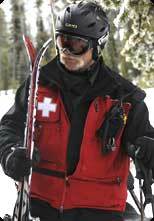 Welcome to the home of the Lost Trail Ski Patrol (LTSP). transport of the skiing public at Lost Trail Powder Mountain Ski Area. team-oriented manner towards the mission of this volunteer patrol. pursue the highest level of professionalism in fulfilling their LTSP duties.